I distinctly remember listening to a new guild member explaining how she needed to buy an eight-shaft loom so she could weave overshot. To a nonweaver or, in that case, a new weaver, overshot seems complex and mysterious—hence her mistake. At its core, overshot is a four-shaft structure, and for that reason it has been loved by weavers on the North American continent for centuries. Many of the projects in Handwoven March/April 2019 issue are based on overshot designs, although each designer added a special twist to the structure. Christina Garton’s overshot Ancient Rose Scarf uses a traditional pattern with modern lyocell yarn. 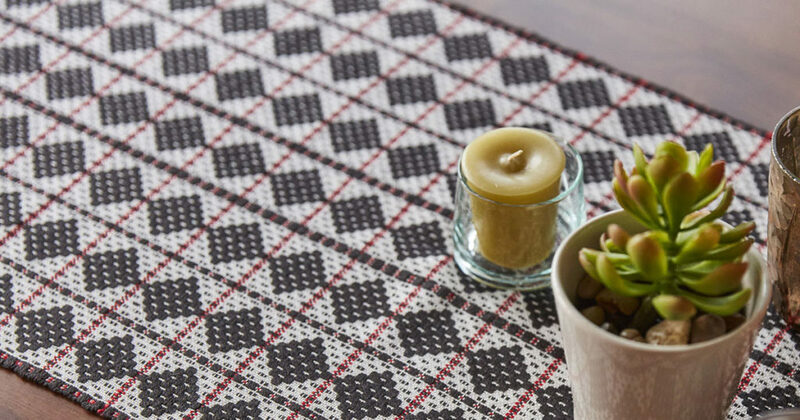 Nancy Dunlap adapted a four-shaft overshot pattern to weave a runner similar to those used by the pioneers to protect the dining table rather than decorate it. Carol Pate designed and wove a coverlet in doubleweave overshot (another mysterious wonder) on four shafts. Rosalie Neilson used overshot blocks to drive her design in warp rep, and Ann Weymouth learned about tied overshot to reduce float lengths in her runner. A few of the projects were meant to celebrate bits of Americana. 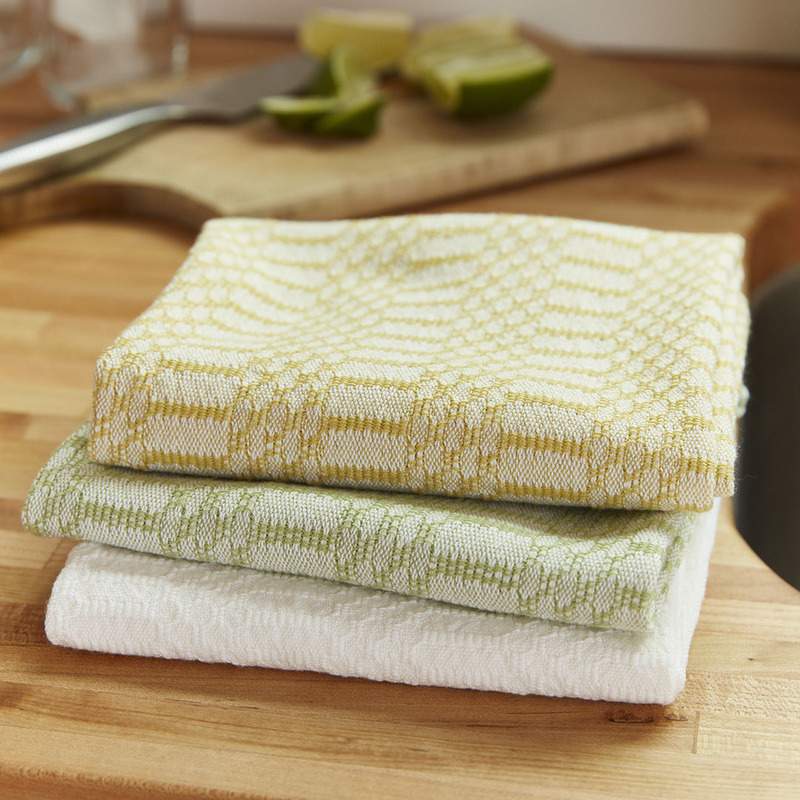 I wove M’s and O’s towels to honor the much-missed Textile Museum of America; Carol Leib’s rosepath towels conjure memories of her beloved Texas bluebonnets. Patricia Crane wove a boundweave rug that uses a draft that can be traced back to a Mary Atwater pattern from 1928, and Deborah Heyman paid tribute to Dr. Bateman with her scarf. Tom Knisely has a lot to say about old cloth bags and nostalgia that I think you’ll find interesting. 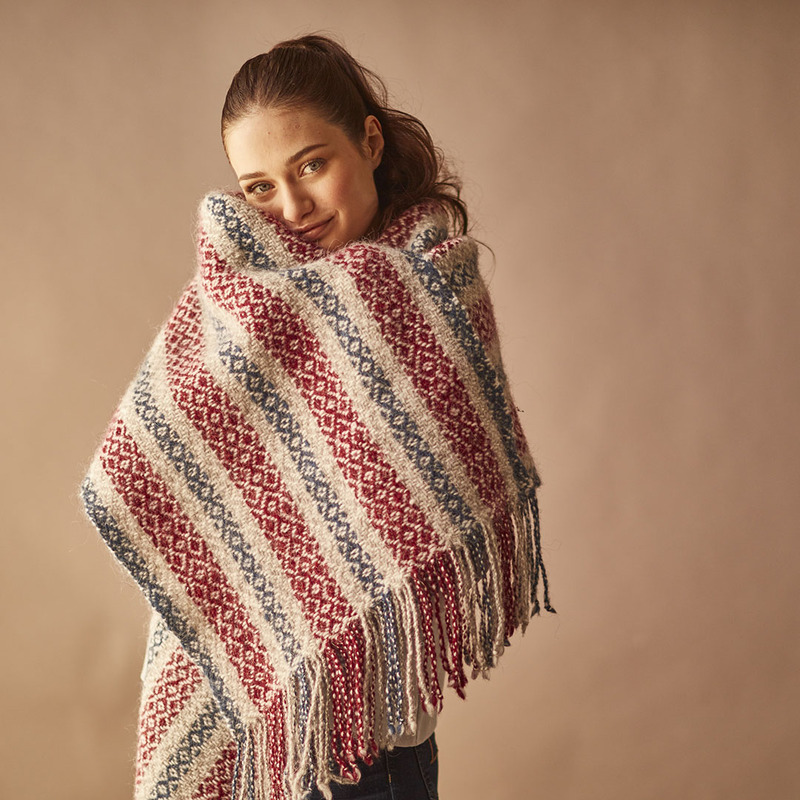 Liz Moncrief remembers the Weavers Delight loom she worked on, and Sharon Airhart describes the creation and ongoing legacy of the beloved Canadian coverlet book Keep Me Warm One Night (affiliate link). Our Traditions article about fingerweaving is by Carol James, a well-known fingerweaver with a companion bracelet project intended to give you a taste of the technique that has an interesting place in the history of the North American continent. Anita Osterhaug has found a new favorite yarn in lopi and gives tips and tricks for working with it in the Idea Gallery, and in The Draft, Madelyn van der Hoogt describes and deciphers the various techniques used in old weaving books to design overshot. This is an issue with roots in weaving history and the North American continent. Our weaving past is a great legacy and one to celebrate.